There are a few recipes of mine that I make every month, they’re on the monthly dinner rotation. 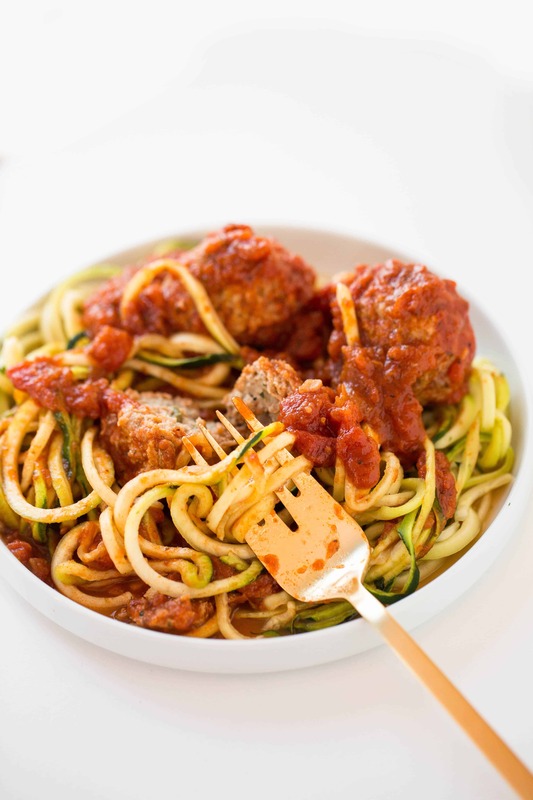 However, there’s only one that I consistently have on a weekly basis and that’s Zucchini Spaghetti with Gluten-Free Turkey Meatballs. 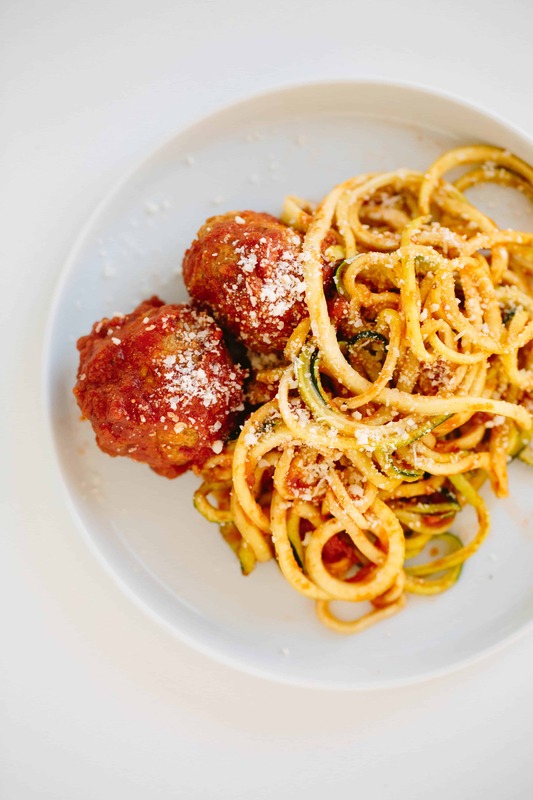 Spaghetti and meatballs is such a classic comfort food. If I’ve ever had a stressful . 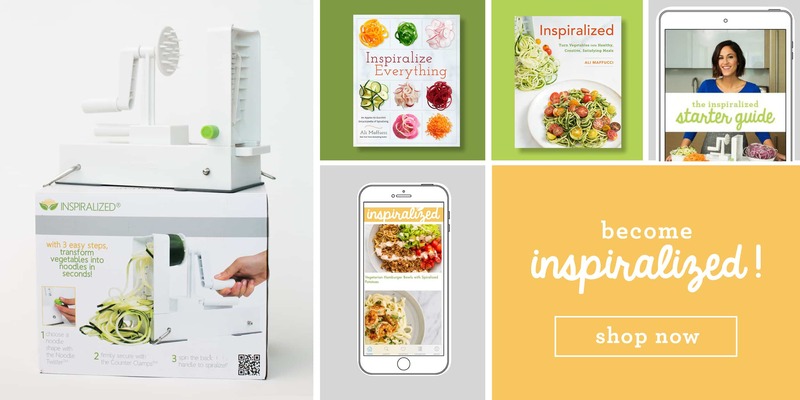 It’s also extremely meal prep friendly and is a meal, thanks to spiralizing, that can come together in under 15 minutes. The key to making this meal in 10-15 minutes? 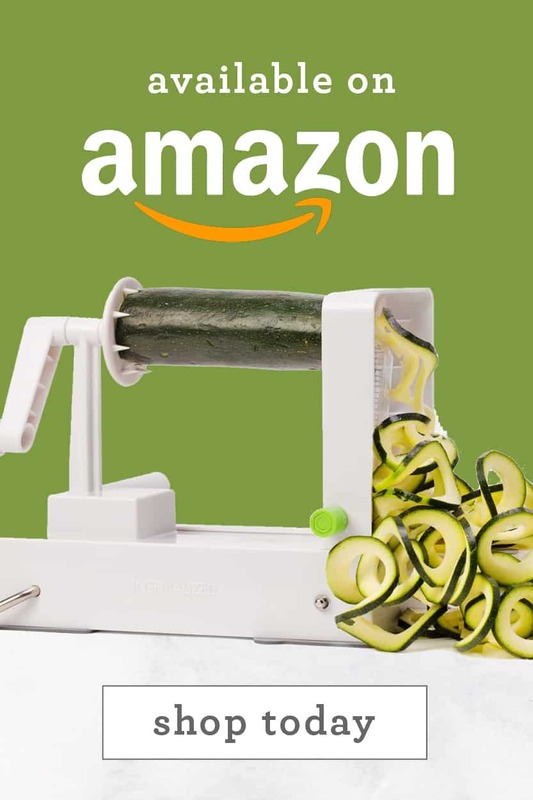 Pre-spiralize the zucchinis on a Sunday (as part of your meal prep) and have them already spiralized and ready to use. Stock up on a healthy tomato sauce, like Victoria Fine Foods. I love their sauce, because it has a few ingredients and they’re listed on the front. They also have a lot of organic flavors! I actually recommend doubling the recipe and freezing the extra meatballs to have on hand for many, many future meals. Pour a jar (or half a jar, depending on how many people I’m serving) of Victoria Fine Foods‘ Tomato Herb or Tomato Basil Sauce into a deep, non-stick skillet. Add the pre-made, frozen turkey meatballs to the skillet with the sauce and bring the mixture to a roaring simmer. Lower heat to a medium low simmer and let heat up the meatballs until they’re no longer frozen. Meanwhile, I spiralize a few zucchinis and cook them in a non-stick wide skillet or wok until al dente. 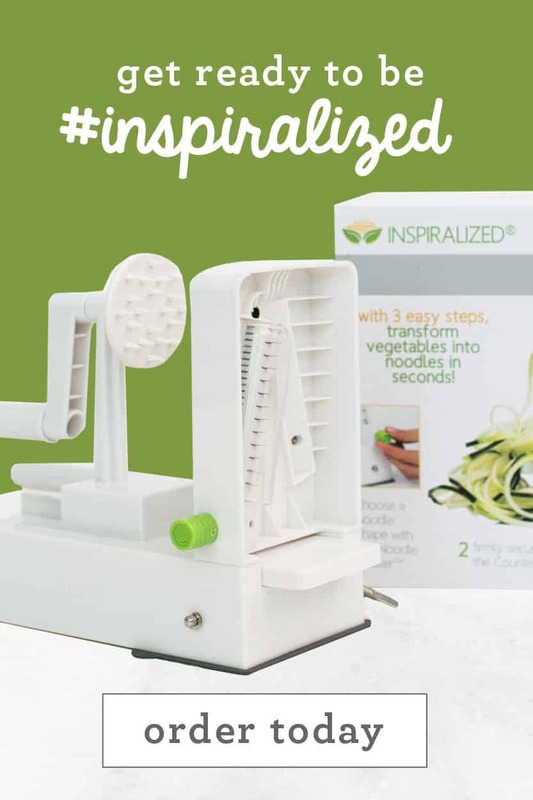 Bonus points if I pre-spiralized on Sunday – no need to dirty the Inspiralizer! 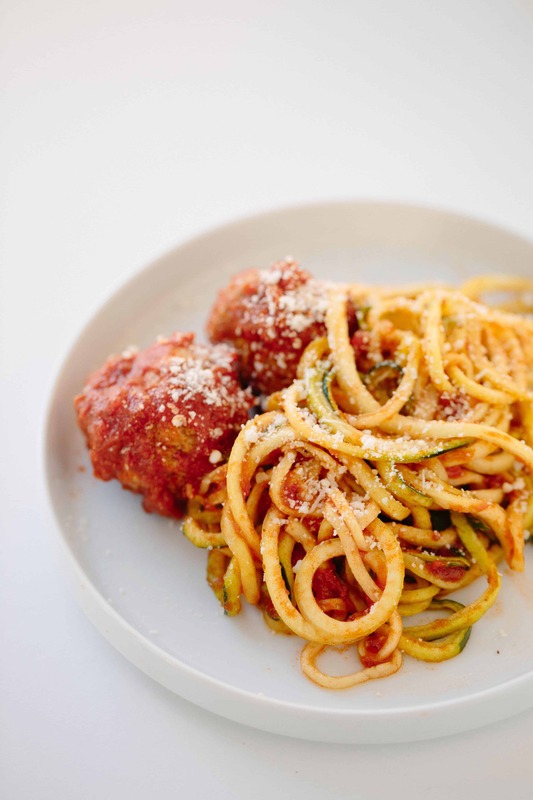 Drain the zucchini noodles into a colander and divide into bowls or plates. Top the noodles with 2-3 meatballs and extra spoonfuls of the sauce. Garnish with grated Parmesan cheese, if I’m feeling fancy. I usually set the oven to broil and toast some slices of multigrain bread or an Italian baguette to serve alongside the spaghetti and meatballs, because, if you don’t like to dip bread in leftover tomato sauce, you must not have a pulse. I say this a lot, and I’ll say it again: if you told me three years ago that I could eat spaghetti and meatballs every week and maintain/lose weight, I would’ve called you cray. Note: Although this post was sponsored by Victoria Fine Foods, all opinions are my own, always. Place all of the ingredients for the meatballs in a large mixing bowl and mix together. Dip your hands in water and form a golf sized meatball and set on the baking sheet. Repeat until 8-9 meatballs are formed. Transfer the meatballs into the oven, bake for 10 minutes, flip and bake another 10 minutes. After the meatballs are flipped, place a deep, large skillet over medium-high heat. Pour in the tomato sauce and bring to a solid simmer. 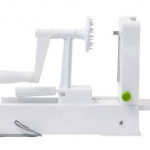 Spiralize the zucchini with Blade D and trim the noodles. Set aside. Once the meatballs are done, add them to the simmering sauce and toss to coat in the sauce. Reduce heat to a medium-low simmer and let simmer while you cook the zucchini noodles. Place a large skillet or wok over medium-high heat. Once heated, add the zucchini noodles and toss for 5 minutes or until al dente. Divide the noodles into bowls and top with meatballs and extra sauce. Garnish with parmesan, if desired. Serve. I love the Victoria sauce! Cheaper than Raos but still delicious and with recognizable ingredients. Can you share with me where your dinnerware is from/what its called? 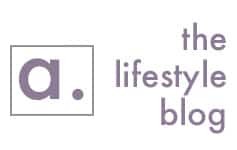 Love your site and recipes! WW points would be more along the lines of 6-7 per serving. Recipe builder doesn't count any veggies or spices. Just a note to those using the nutritional information - it will make the smart points inaccurate. do you freeze them baked or raw? I had the same question. I guess you could do either. You would obviously need to cook it longer if they were frozen raw but the flavour of the sauce would be better. Baking off a double recipe of meatballs as I type! 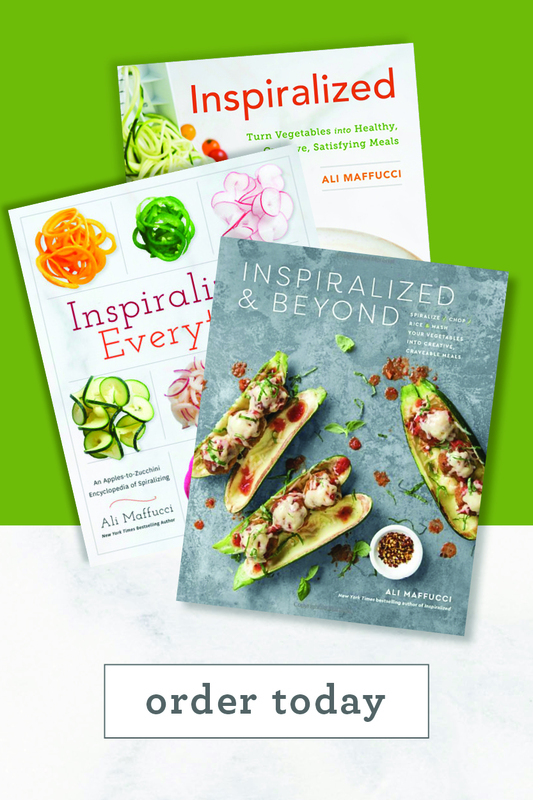 Thank you so much for your inspiration and recipes Ali! 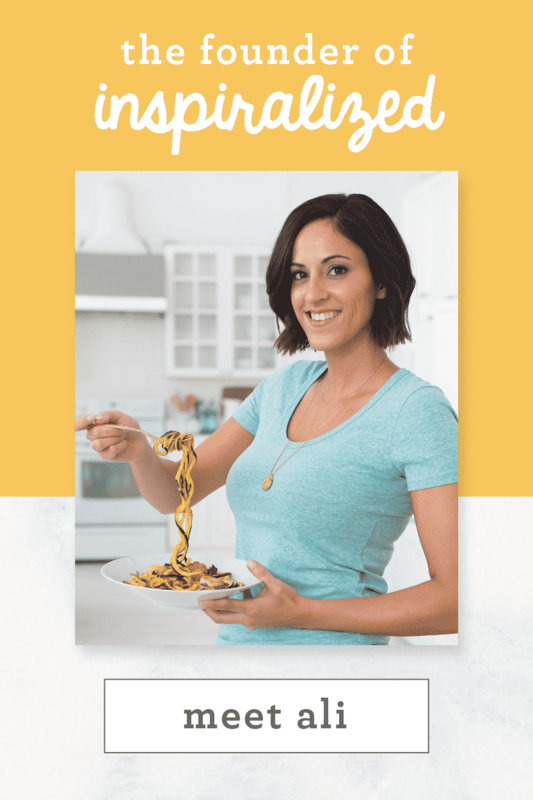 If you spiralize the noodles ahead of time, how do you keep them from being soggy? I have spiralized zucchini noodles a night before and by the morning they were all soggy. But maybe that was because I precooked them. If you cook any of these recipes for having leftovers on another day, how can you keep them fresh and not soggy? Any advice? I would like to be able to only cook once and have meals for the week but worry that these noddle dishes would be all soggy by then. Thanks for the help. Hi Ali, when heating up the zucchini noodles in the skillet, do you put olive oil in the skillet or spray it with anything beforehand? Trying to perfect zucchini noodles tonight! Hi!! I love this website!! The recipes and tips are so wonderful. So I am also vegetarian and for simplicity, I used meatless balls from Trader Joe's. I also don't like tomatoes, so I had already made a basil pesto that I used, and then I added some goat cheese and capers (inspired by a catered pasta I ate). 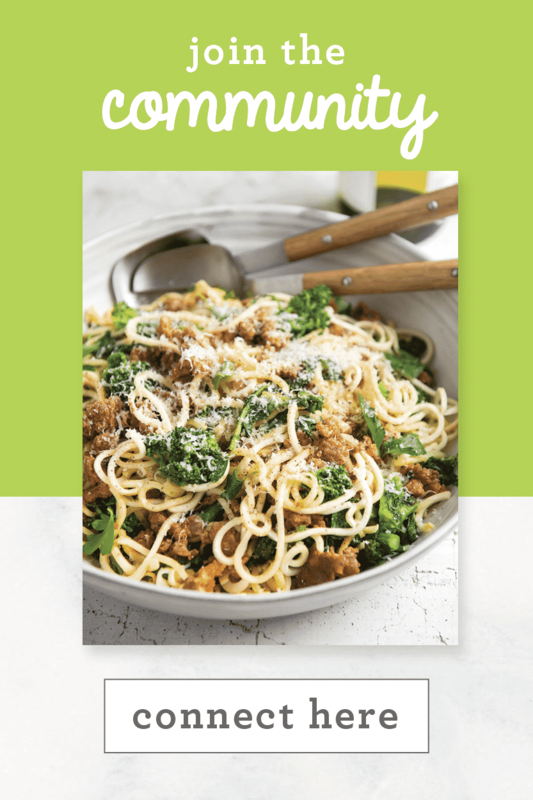 It was wonderful and I think this will be in my weekly meal rotation as well!!! Thank you so much for this wonderful resource and congratulations on all the success!!! I'm so eating this tonight!!!! 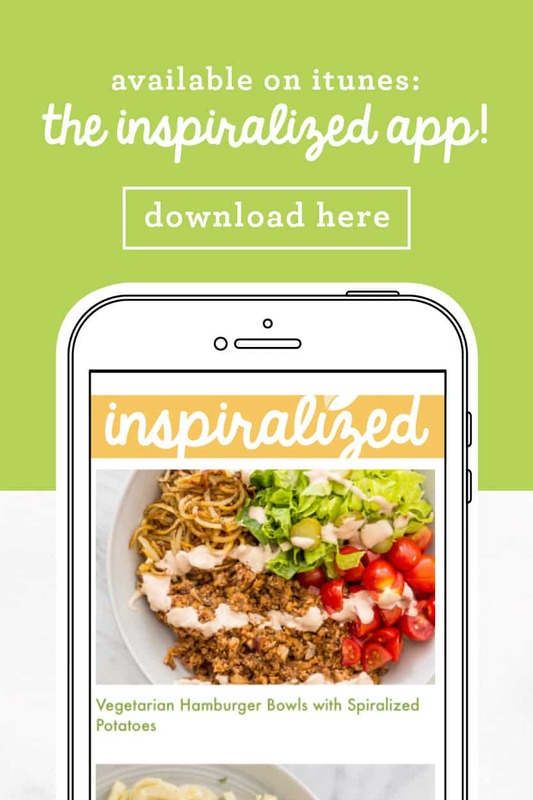 Every recipe looks amazing... thats a huge prove that eating healthy doesn't have to be boring!